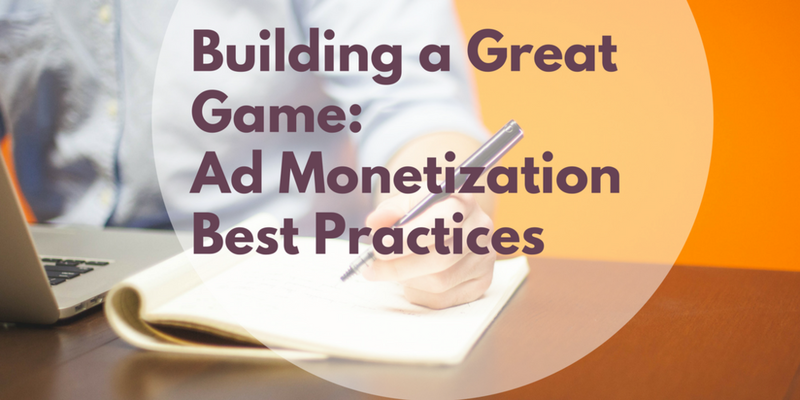 In the first article of our Building a Great Game series we focused our attention on engagement and in-app monetization metrics: now it’s the time to look at the equally important component, ad monetization. In fact, as we already mentioned, the average overall conversion rate for IAP (In-App Purchases) is ~2% of the base over a 30 day period, so it is crucial to find ways to get some value from the other 98% of your players. Many game developers are wary of integrating ads into their game. They fear that ads would annoy their players and negatively impact retention and engagement, but if done in the right way, ads can raise the ARPU (Average Revenue Per User) by 10% to 80%, even for games that are successfully monetizing with IAPs. To get started, let’s first take a look at the main ad formats, their characteristics, and the pros and cons of each type. The oldest format is the Banner Ad, inherited directly from the web. Static banners are typically displayed on the top or the bottom of your game, either in menu pages or in the gameplay view itself. As you can imagine, this format can be pretty invasive, and it can also lower the perception of your game’s quality. It is not used much nowadays, but can still be an important component of your ad monetization strategy for very casual games. Interstitial Ads are full screen (or almost full screen) images or videos that pop up at a certain point in your game. They are typically placed at “intermission points” like after seeing the “Game Over” screen or at a “Level Up” moment in the game. This format constitutes the bulk of ad revenue in most casual games, but as we will discuss below, it must be integrated carefully in order not to impact user experience. Rewarded Videos require the user to opt-in to watch a full (15-30 sec) video ad in exchange for a reward in the game. They are becoming very popular in mobile games because they provide high CPM (Revenue per thousand impressions) and they fit well with the Free-to-Play model: giving non-spenders a way to progress faster in the game in exchange for some value they provide by voluntarily engaging with the ads. Another format that has been getting some traction in recent times is rich media or "Playable Ads" which require users to interact with the ad, typically in a short game demo, which showcases the core gameplay inside the ad. This format can be displayed either as an interstitial or as a rewarded ad. They have the potential to achieve high CPMs but need to be utilized carefully because depending on the quality of the creative, the experience can be confusing and negatively impact your user retention. An easy yet valuable piece of advice is to integrate ads into your game, or you will be leaving money on the table! However, it is important to implement ads in the right way, and at Thumbspire we guide our developer partners to follow the best practices for games found in the same genre. The most important rule is to prepare your game in a way that allows you to measure and dynamically control the ads in your game. Considering that for each format you will most likely integrate a few ad networks, it is important to control the order in which these networks will be invoked at every ad impression to maximize the average CPM of your traffic. This is the role of the mediation system - an intermediate layer that your game will invoke at every ad placement, deferring to it the choice of which ad network to forward the request to. There are a number of mediation systems on the market, and all of them have some automatic algorithm aimed at maximizing the CPM for every impression based on various parameters like device, location, etc. With mediation, you can also manually override the algorithm and force a pre-defined priority of ad-networks for a specific format in a specific geographic location (known as a “waterfall”). This can be useful if you want to take advantage of special guaranteed CPMs you might be offered by the ad networks in exchange for a guaranteed call order in the waterfall. From our experience, introducing mediation to optimize the return for your inventory can lead to an increase of 80-110% compared to your average CPM from a single network. In addition to mediation, it is also important to put a system in place that allows you to measure and dynamically control the ads being served in your game. For example, if you decided to have banner ads in your game you might want to have a server flag that enables or disables them for specific cohorts of users, such as disabling them for any user who makes an IAP. You might also want to be able to control the frequency of your interstitial ads (for example, every 5 “Game Over” screens) and dynamically tweak it depending on the average game session length or even apply different frequencies to different cohorts of users. For rewarded videos, you might want to make the amount of the reward configurable dynamically so that you can tweak the economy of your game once you have a sense of the CPMs you can obtain. Hopefully, you get the idea: the level of control depends on how granular you want to be in your actions, but it is important to have the possibility to control and modify the ad implementation without the need of a new release for every change you want to test. Finally, it is important to measure and track every ad impression at a user level in your analytics, so that by applying an average CPM per geographic area you can estimate the advertising contribution to the LTV (Lifetime Value) with the same granularity that you have for IAPs. Stay tuned, as we’ll dive into more details on what to measure as well as target benchmarks for ad KPIs in our next blog post in this series. In the meanwhile, feel free to reach out if you have questions or comments!